Looking for FatCow promo codes and coupons? #MasterTheWeb and save money today with our exclusive The Webmaster offers. Get 60% off Fatcow unlimited shared hosting plan. At the moment the FatCow Promo Code is Link Activated, so there will be no code as such. What you will find, though, is that a new browser window will open showing the updated discounted price. Once you arrive at the website, click the large yellow “Get Started Button”. Click your chosen FatCow Coupon Code © The Webmaster. The next page takes you to the Domain Registration screen where you can choose your new domain (which is free with all plans). There is also the option to add domain privacy for $9.99 per year so that your personal details cannot be seen on a WHOis domain search. On first look, it would appear that you are forced to choose a free domain, rather than to point an existing domain at your hosting account. 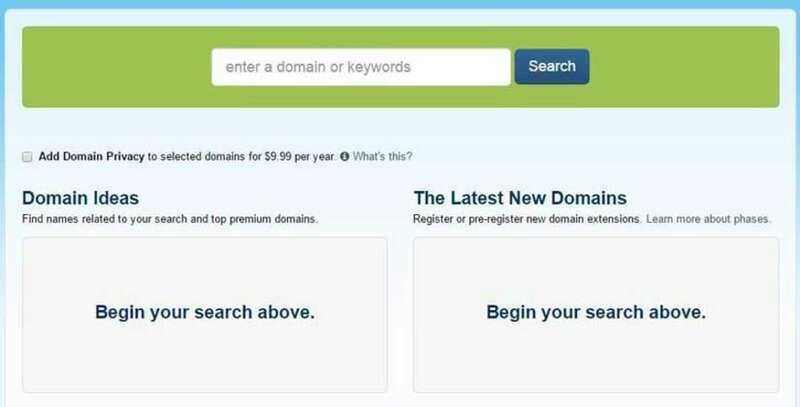 If you wish to use your own domain, simply enter a random domain, and then later in the ordering process change to monthly billing, and the free domain will disappear. You can then change back to whatever billing period you would like. Choose your Domain © The Webmaster. 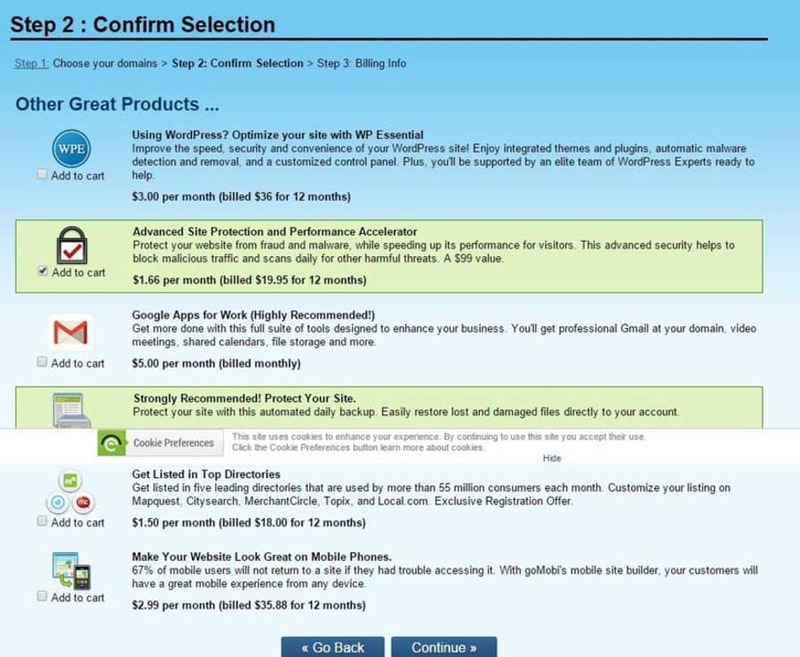 Once you have chosen all your add-ons, click “Continue”. You can choose between monthly, 12 months, 24 months and 36-month duration. You will see the different prices if you click on the drop down box. Choose your billing period © The Webmaster. The final step is to complete your order and pay. 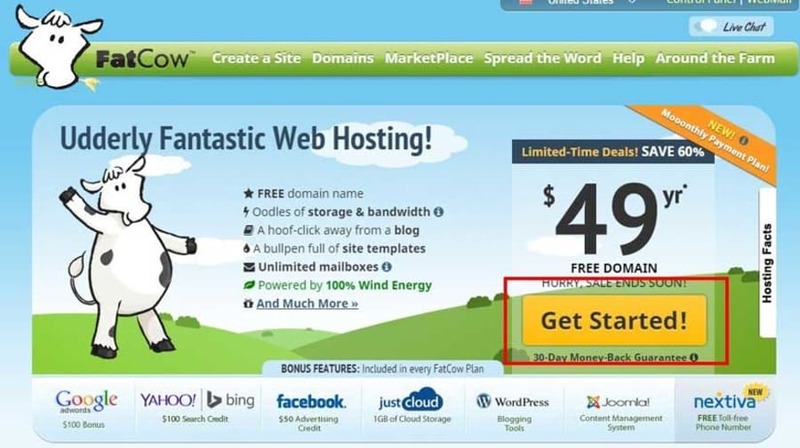 They their original FatCow Plan (unlimited hosting package)as well as their newer WordPress, VPS and Dedicated Hosting. We cannot advise which plan to choose, but would recommend reading our list of top hosting providers before making a choice. Yes, but the cost is considerably more. You will get better value by signing up for at least a year. What other payment options \ billing cycles do they offer? You can pay for 12, 24 or 36 months upfront to lock in maximum savings. Does FatCow offer a free domain? Yes, for the first year. What payment methods do they accept? They accept credit and debit card payments such as Visa, Mastercard, Discover and American Express. They also accept Paypal. Can you pay by PayPal? Yes, but no money-back guarantee is offered for purchases via this method. Yes, there is a 30-day no questions asked money-back guarantee. This only applies to purchases made by debit \ credit card, and not to PayPal purchases. Any refund excludes add-ons and domain registrations. For this reason, among others we recommend using a specialist domain registrar such as NameCheap. What Control Panel comes with FatCow Web Hosting? They use their own proprietary control panel.